Dave Williams scoops that the Center for Health Transformation, the think that Newt Gingrich started in 2003, has filed for Chapter 7 and started liquidating assets. The documents put the CHT’s assets at less than $100,000, its liabilities at more than $1 million. Among the creditors: Gallup, several health care companies, and Newt and Callista Gingrich themselves. And it’s really a stunning reversal of fortune. Back in November, when Gingrich enjoyed his brief renaissance as the Republican frontrunner, Dan Eggen reported that the think tank had earned $37 million over eight years. The catch: It used to be able to offer “direct Newt interaction” to health care companies. The former speaker had built himself back into a sought-after pundit. Without him, the CHT had no way to raise money. Thus is the fate of Newt, Inc. American Solutions for Winning the Future, his first think tank, shut down in July 2011 because it couldn’t raise money anymore. 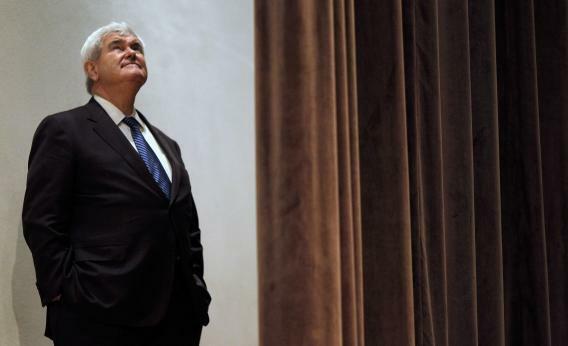 Whenever Gingrich decides to leave the trail, he returns to a far-smaller empire of influence. The same thing happened to Rudy Giuliani – who, to be fair, ran a pathetic waste of a campaign, winning nothing.